After meeting a couple who owned a Greek restaurant at a party years ago, Blu Kouzina has become a family favorite. Being Greek, I’m an absolute sucker for for a really good rack of lamb, or the sweetest, stickiest Baklava. I can say, without a doubt, Blu Kouzina has some of the best Greek food I’ve ever had in my life. Some of our favorites are grilled octopus, lamb meatballs, Greek salad, and hummus with pita. The grilled octopus comes in bite sized pieces and is lightly seasoned with salt, pepper, and olive oil and grilled perfectly with a light char. The lamb meatballs are crunchy on the outside and insanely soft and meaty on the inside. It comes with a light citrus and mayonnaise dipping sauce, which cuts through the strong lamb flavor. The Greek salad consists of large chunks of tomatoes, olives, onions, cucumbers and a whole slab of Greek feta, with olive oil drizzled over the top. The hummus is perfectly smooth, with the right balance of tanginess, bitterness, saltiness and sweetness. It goes perfectly with the think, light pieces of pita. And of course, a must for every Greek family, the lamb. The lamb chops are charred to perfection giving it a smokey crunch on the outside, which coats the medium-rare cooked lamb. 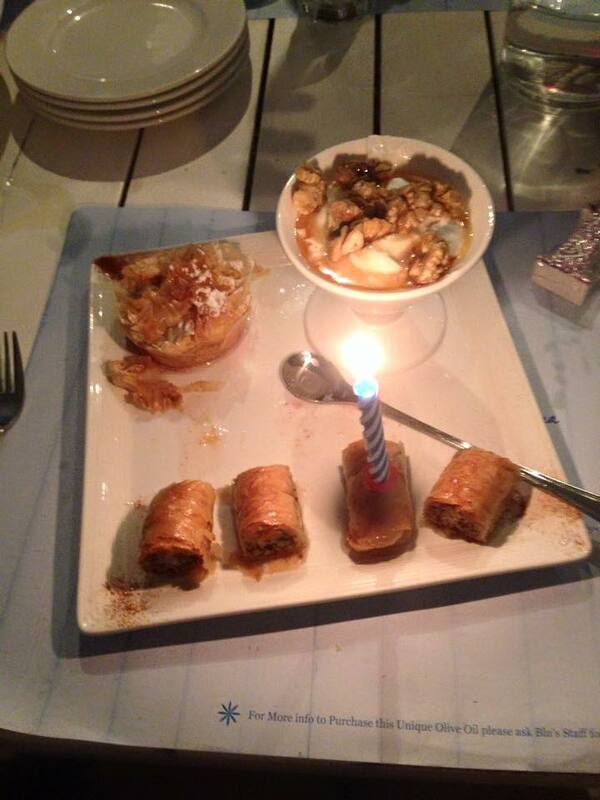 Of course, you can never go to a Greek restaurant without ordering dessert. Their platter consists of Baklava, Walnut pastry, and Greek yoghurt with honey and nuts. The Baklava is unbelievable; crunchy and extremely sweet with honey. The Walnut Pastry is amazingly flaky with the bitterness of the nuts cutting through. The Greek yoghurt with honey and nuts is the perfect way to end the meal, with it’s tangy and fresh flavor. 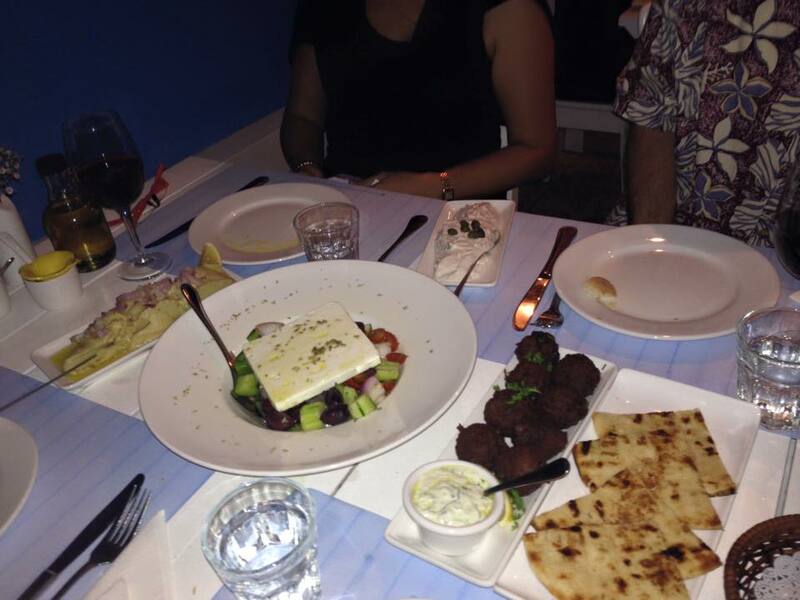 Blu Kouzina never fails to deliver an amazing Greek meal! Go visit them at 893 Bukit Timah Rd, and or check out their website at http://blukouzina.com/SG/. I’m just wondering if you have any gluten free food.